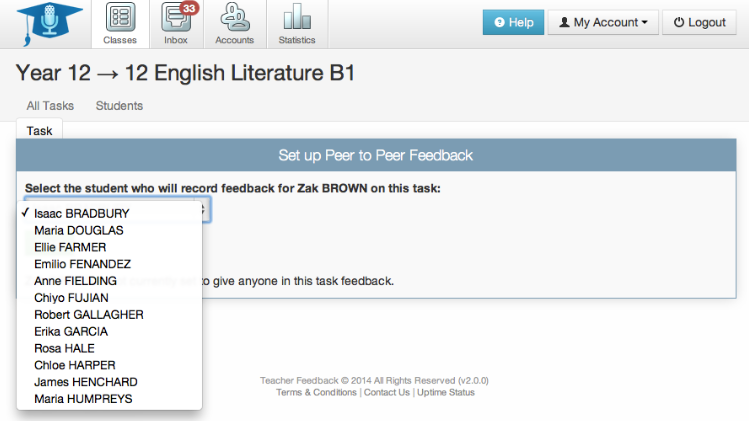 Peer Feedback is now available! 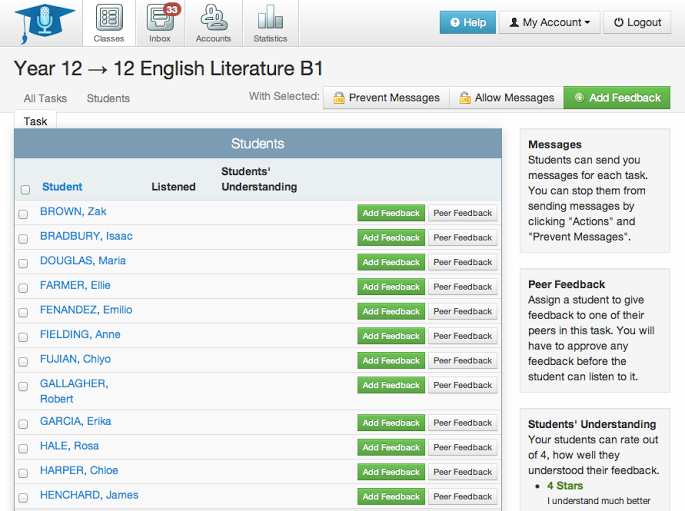 By popular demand, teachers now have a tool that allows students to leave peer feedback for one another. Teachers can approve or reject the peer feedback before it is sent. We think this will revolutionise the use of audio feedback in schools and colleges.